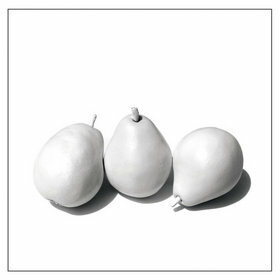 "A Heart Like Mine" is a song by Dwight Yoakam on his 2012 album, 3 Pears. Beck produced the song, and one other on the album ("Missing Heart"). Beck only provides handclaps on the track, and a couple of his engineers, Cole Marsden Grief-Neill and Cassidy Turbin, play bass and drums on the song though. In 2018, Beck was on Dwight's radio show, and he referred to it as his "insta-band." Dwight kind of thought it was just a guide/demo, but they enjoying the informal ambiance that came from recording in Beck's house. While Beck brought a bit of a Sea Change vibe to "Missing Heart," "A Heart Like Mine" is more of a traditional country vibe.